I’m just over a month late in blogging about this, but my first Android application is out and available for download in the Android Market. I’ve written a few apps for Android, but this is the first to actually be released to the general public. 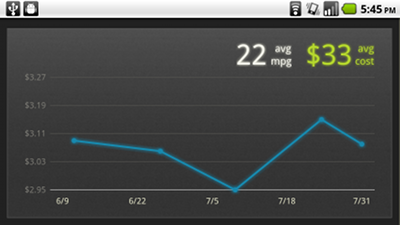 Say hello to Gas Log, the fantastically simple way to track your car’s fill-ups. Gas Log is simple by design and features a completely customized UI. There are similar apps on the Android Market that do much more, but Gas Log separates itself by doing a few things really well and not overwhelming the user with a noisy array of bells, whistles, and mostly ignored statistics. 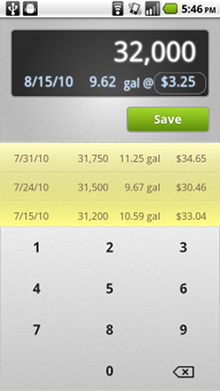 It’s apparent in the little details, like the custom numeric keypad that makes entering a new fill-up fast. Or a beautiful graph that appears when you rotate your phone, showing you only the information you really care about. 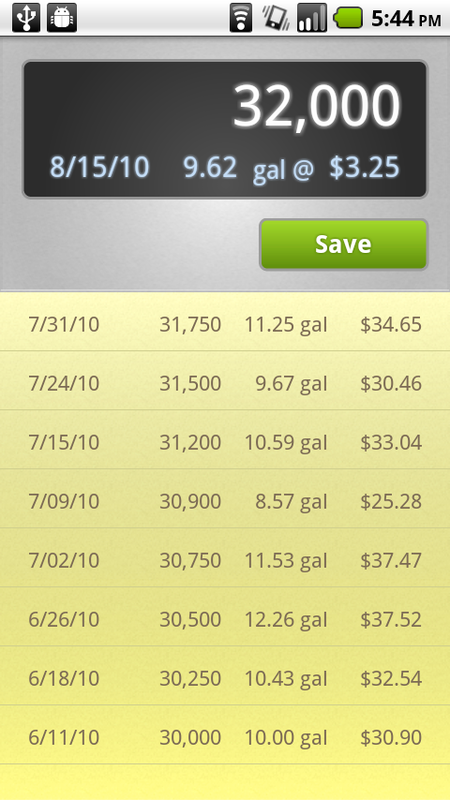 Gas Log is out now and is currently free (ad-supported). An ad-free paid version will be out soon, and will include useful additions like easy backups of your data. 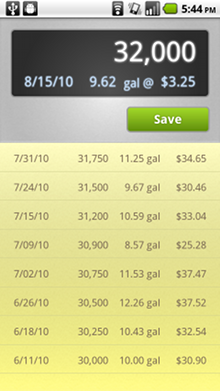 Search the Android Market for “Gas Log” or scan the handy QR code below.